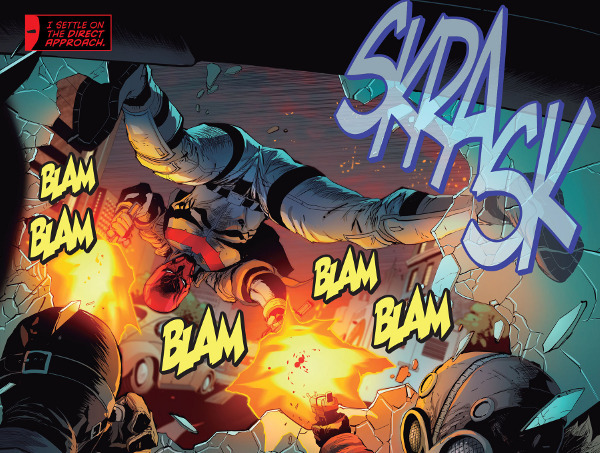 As Guy Gardner searches for information about the current state of the universe for the returned Green Lantern Corps, Hal Jordan battles and increasing number of Yellow Lanterns who Sinestro dispatches to take down his former pupil. 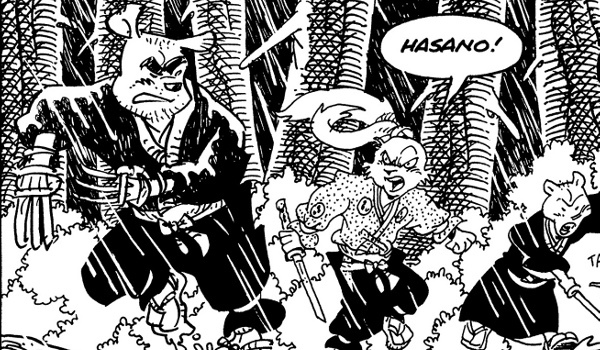 Eventually the odds become too great likely leading to a confrontation between the pair in next month's issue. Following the setback to his sobriety, Season Four of Elementary features the introduction of John Noble as Sherlock Holmes' (Jonny Lee Miller) father Morland whose nefarious dealings will earn his son back his consultant job with the NYPD and become of great interest to Joan Watson (Lucy Liu). Highlights of the season include the show's unique take on The Hound of the Baskervilles, the introduction of Joshua Vikner (Tony Curran) as Jamie Moriarty's (Natalie Dormer) successor, Sherlock and Watson working for the FBI, Sherlock tying three FBI cases together with a kidnapping case that has more to it than anyone else suspects, the introduction of Watson's half-sister (Samantha Quan), and the introduction of Sherlock's new friend Mittens (Betty Gilpin). Other crimes of interest include a staged murder leading to a double homicide, murder involving a survivalist bomb shelter, murder by mushroom, the murder of a whistleblower, murder over an old video game, and the murder of a dying scientist. Things get bloody for the Killjoys as Dutch's (Hannah John-Kamen) plan to rescue Johnny (Aaron Ashmore) and Pawter (Sarah Power), bring down the wall, and kill Jelco (Pascal Langdale) runs into a few snags including putting her at the mercy of the leaders of an angry mob in the aftermath of a night's activities that left more than one-hundred dead and questions that need to be answered. 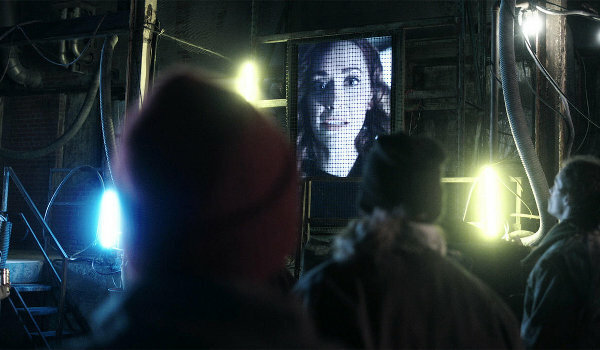 Needing to give D'Avin (Luke Macfarlane) time to implement the Killjoys makeshift Plan-B, Dutch holds out telling her captors where Jelco has been taken. 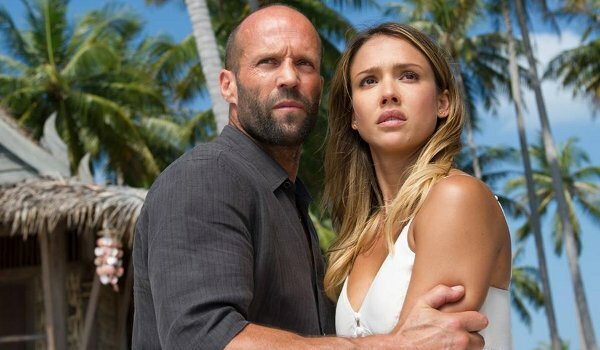 The follow-up to 2011's The Mechanic returns Jason Statham as retired hitman Arthur Bishop. After faking his death, Bishop has lived the good life in Rio until a courier (Yayaying Rhatha Phongam) for an old frenemy (Sam Hazeldine) throws Bishop's life into chaos. After falling for the honeypot (Jessica Alba) sent in to earn his trust, Bishop is blackmailed into committing the impossible assassinations of the world's three largest arms dealers (Femi Elufowoju Jr., Toby Eddington, and Tommy Lee Jones) in a matter of days when he fails to prevent her kidnapping. 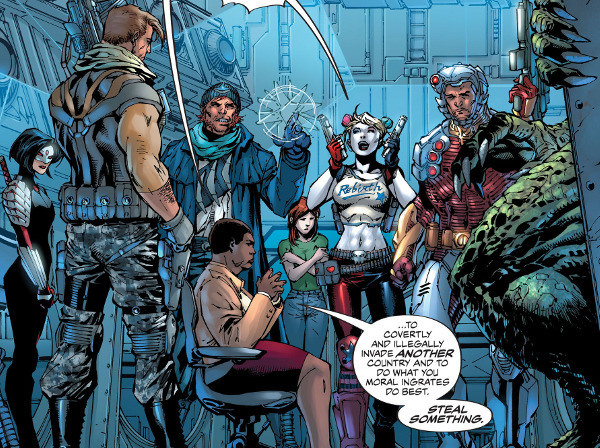 Although Suicide Squad: Rebirth #1 kept the latest Task Force X to a small group involving only the foursome of Rick Flag, Deadshot, Captain Boomerang, and Harley Quinn, the first issue of the new series enlarges the group to closer match the team seen in the recent Suicide Squad movie. 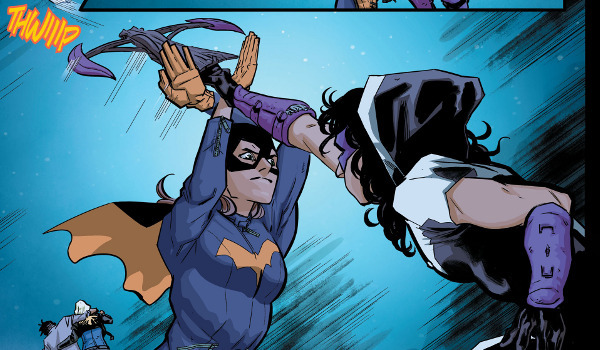 The smaller team actually worked for a tighter story and by not introducing all the characters in the Rebirth issue the comic has to cover a bit too much of the same ground the second time out. Green Arrow and Diggle storm the castle, or the bizarre floating bank museum, of the Ninth Circle. 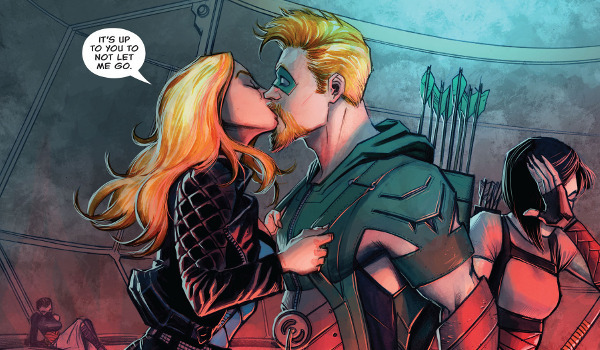 The ensuing battle not only frees Black Canary from her captors but also opens the door for Emiko to choose Oliver over her Shado and her obligations to the Ninth Circle. 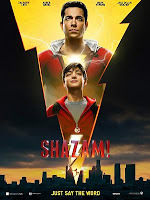 Keeping Dutch (Hannah John-Kamen) and Johnny (Aaron Ashmore) on their own separate storylines, "Full Metal Monk" sends Dutch and D'Avin (Luke Macfarlane) in search of another secret facility while Johnny and Pawter (Sarah Power) get into even more trouble snooping into the secrets of the wall. While both will find answers to what the company plans for Westerley, the cost proves much higher for Johnny and Pawter who find themselves trapped behind the wall which begins to force the entire populace into a more compliant state. The first of five consecutive episodes all taking place with the Teen Titans stranded on a deserted island, "Coconut Cream Pie" plays like a cheap knock-off of Gilligan's Island (complete with a generic millionaire and his wife thrown in to complete the crew of the S.S. Minnow). 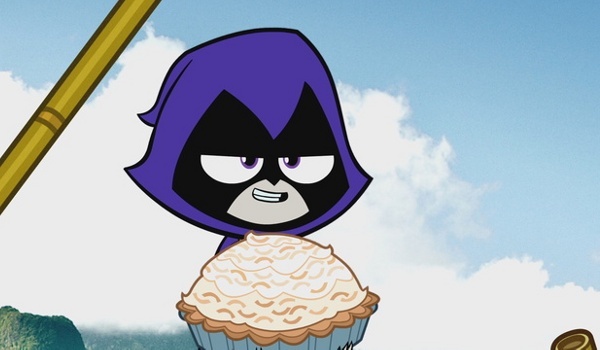 Of the five island episodes, this is one of the weakest forcing each member of the Titans into roles that don't necessarily quite fit them, and beating a running gag to death involving Raven (Tara Strong) and coconut cream pies that never pays off. 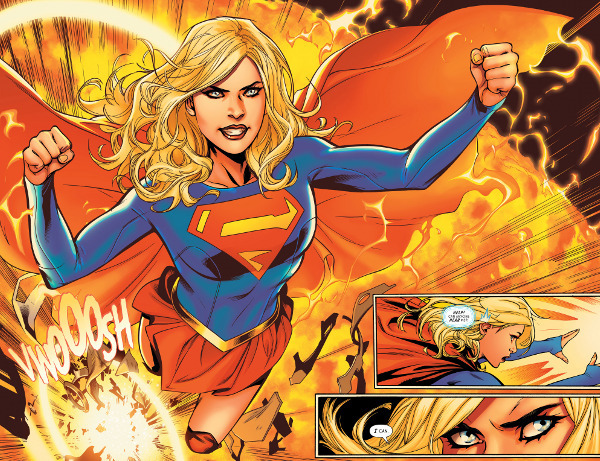 Supergirl: Rebirth #1 relaunches Kara Zor-El in the DCU beginning with Supergirl reclaiming her powers in a dangerous experiment involving being shot directly into the sun. The issue also delivers a Kryptonian werewolf for the returning Supergirl to best. As bizarre as all that sounds, it's actually kinda fun. What would happen if the Devil went on vacation? And while on vacation decided to become a club owner who, in his spare time, solved crimes? That's the basic premise of Lucifer. Based on the Vertigo Comics character created by Neil Gaiman, Tom Ellis stars as Lucifer Morningstar. Hardly hiding, while helping Detective Chloe Decker (Lauren German), the only woman not susceptible to the Devil's charms, solve crimes, Lucifer lets everyone from Chloe to his psychologist (Rachel Harris) know that he believes himself to be the Devil. Despite witnessing the inexplicable, however, no one takes his admission seriously. 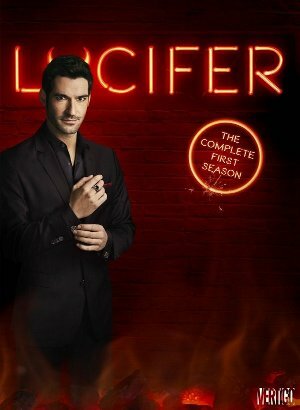 Highlights of the highly-enjoyable First Season include a very important missing cargo container, Lucifer searching for his stolen wings, the Devil attempting to do good (for all the wrong reasons), a priest being the prime suspect in a murder, Lucifer meeting Chloe's showbiz mom, Lucifer searching for an impostor, and the final two episodes of the season where Lucifer is framed for murder. Hell or High Water is more than it appears to be at first glance. 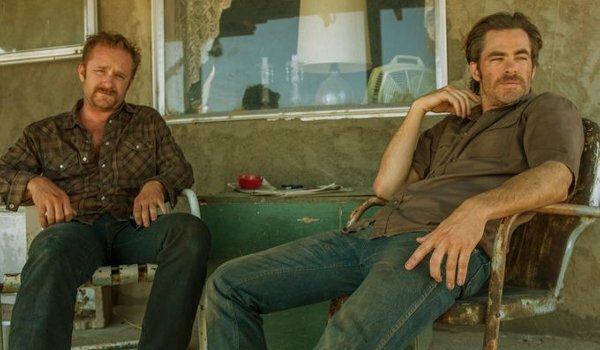 The simple story of two brothers robbing banks while literally being pursued by a cowboy (Jeff Bridges) and an Indian (Gil Birmingham) through small Texas towns is grounded in complex motivations playing as much on character-driven drama as themes from westerns and heist films which screenwriter Taylor Sheridan and director David Mackenzie use to frame the tale. Shot against the bleak canvas of West Texas (or, to be more accurate, New Mexico standing in for West Texas), Hell or High Water is an engrossing, entertaining, and often amusing, film. Just like Red Hood and the Outlaws: Rebirth #1, Red Hood and the Outlaws #1 proves to be an entirely Red Hood-focused story. This actually turns out to work quite well and, not for the first time, I'm wondering if the character actually needs odd sidekicks to make his own series work. 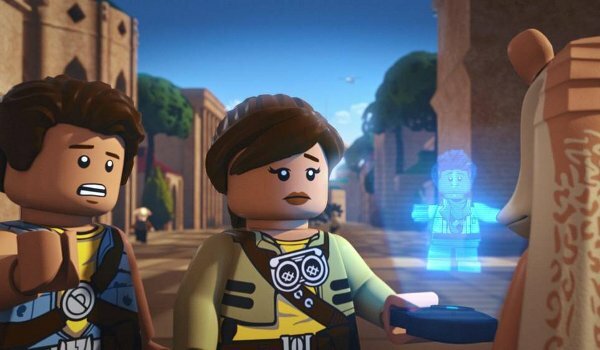 The search for the last remaining Kyber Saber Crystal turns into a race between the Freemakers and Naare (Grey Griffin) and her bounty hunter friends. 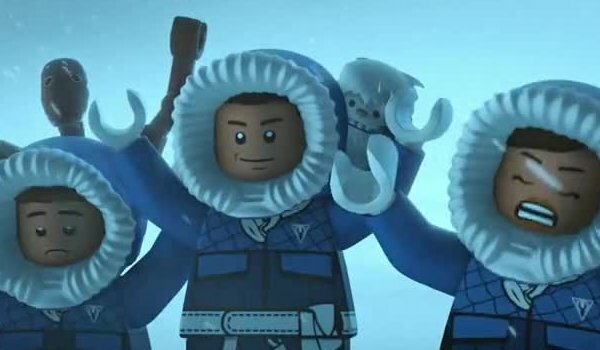 Containing several nods to The Empire Strikes Back, "Showdown on Hoth" includes the Freemakers finding the abandoned Rebel base and running into a baby Wampa (whose angry mother will help secure the group's escape). The episode also offers another appearance of Durpin (Richard Kind) by Plumestriker (Jeff Bennett) demoted to one of the most desolate locations in the Empire. Here are pics from model Alexis Ren's recent photo shoot with photographer David Bellemere. 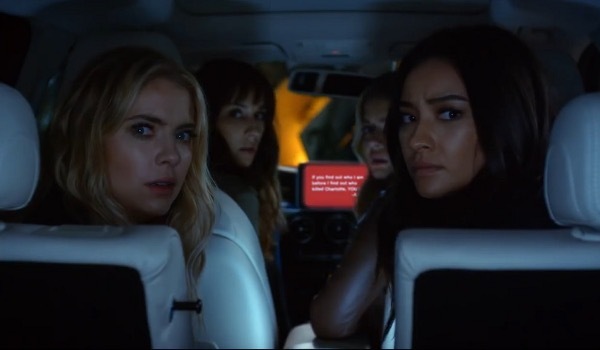 While Hanna's (Ashley Benson) belief that Noel Kahn (Brant Daugherty) is A.D. is bolstered by a nightmare, flashbacks to the torture she suffered during her kidnapping, and a sudden appearance by Carla Grunwald (Meg Foster), Spencer (Troian Bellisario) and Aria (Lucy Hale) investigate the sole remaining lead the Liars have by looking into the disgraced Radley doctor (Keith Szarabajka) who gave birth to Mary Drake's (Andrea Parker) second child. 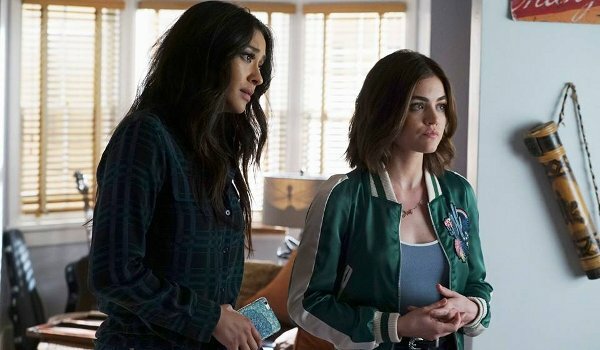 Despite the other Liars' unwillingness to act until their is definitive proof about Noel's involvement, it appears Hanna is ready to take matters into her own hands (but who is helping her?). Daredevil #10 kicks off a new arc with Daredevil's protege Blindspot being lured in to an unusual murder scene which contains a wall-sized painting done in blood. Someone is obviously playing with the two heroes, but why? 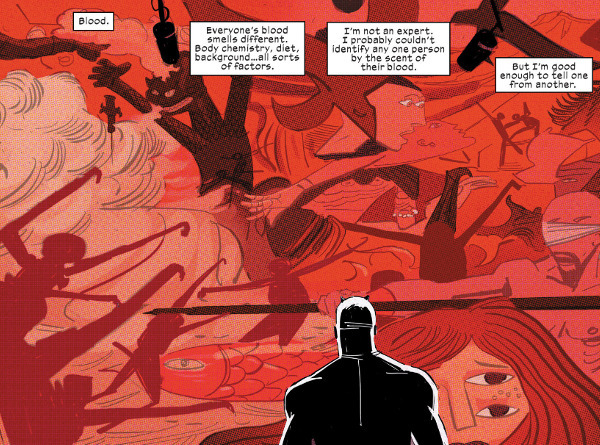 And what's the broader significance of the painting itself, purposefully left for Daredevil and Blindspot to find? 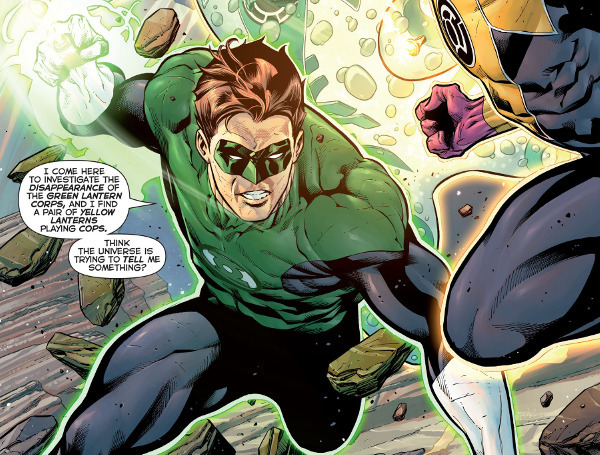 Hal Jordan's search for answers about the missing Green Lantern Corps leads him into contact with a pair of Yellow Lanterns. 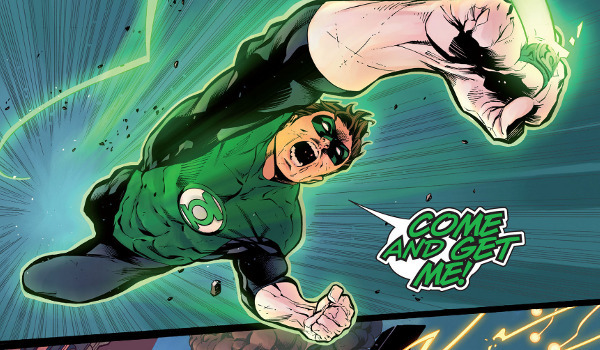 News that a Green Lantern has survived, and that that Lantern is his former pupil, doesn't sit well with Sinestro. 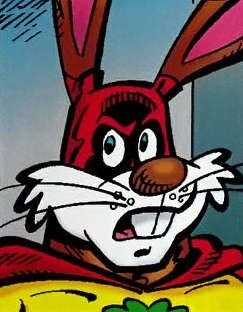 Despite his bravado, news that his arch-nemesis is still alive makes his absolute control of the universe suddenly appear not quite as secure. Directly following the last episode, "Heart-Shaped Box" opens with D'Avin (Luke Macfarlane) struggling with the realization that Sabine (Tori Anderson) is a Level-6 and the reality of the messy outcome of their intimate night together. Basically, he screwed the goo right out of her. 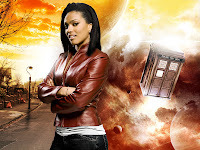 Still alive, but lacking her enhanced healing abilities or psychological conditioning, D'Avin and Dutch (Hannah John-Kamen) work the Level-6 to find answers about what is really going on, why Khlyen (Rob Stewart) sent her to spy on D'Avin, and what the Black Root is really after. 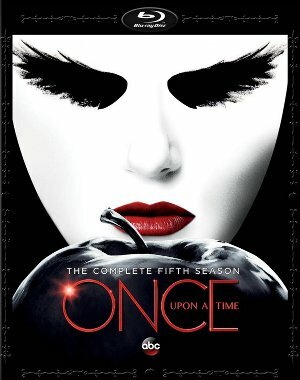 The Fifth Season of Once Upon a Time offers trips to the Enchanted Forest, Camelot, and the Underworld while also delivering Emma Swan's (Jennifer Morrison) far-too-temporary time as new Dark One. Season Five is somewhat frustrating as it explores some interesting ideas only to forcibly reset the status quo by the end of the season. I equally enjoyed Emma in the role of reluctant villain and Rumpelstiltskin (Robert Carlyle) forced into playing hero, but shoving both characters back into their boxes by mid-season destroys all the momentum heading into the Underworld arc. Highlights include Amy Manson's recurring role as Merida, the return of Mulan (Jamie Chung) and Ruby (Meghan Ory) and their adventure in Oz, events in Camelot finally explained, the introduction of the first Dark One, Rumpelstiltskin's reunion with his wife, the introduction of Gaston (Wes Brown), and the truth behind Henry's (Jared Gilmore) heartbreak. Never underestimate the power of the Dark Side. 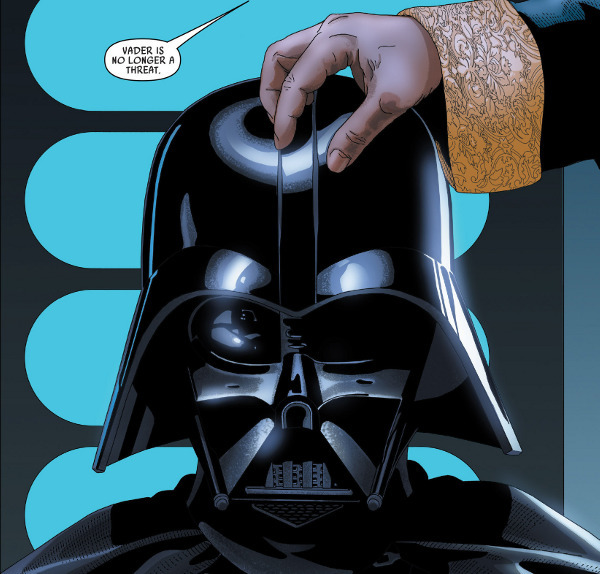 Vader has been defeated by Cylo-V and trapped within the mechanical body which the cybernetic genius has completely shut down. 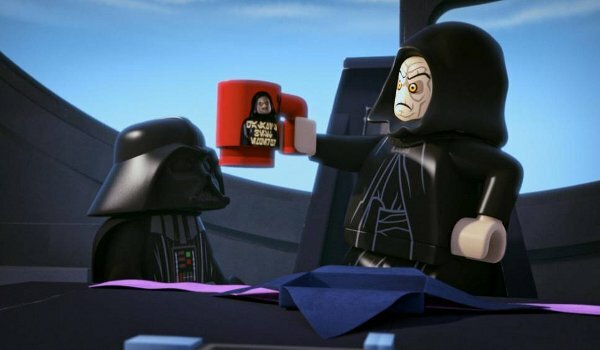 But just because the Dark Lord of the Sith is down doesn't necessarily mean he's out. No more teasers, we now have our first full length trailer for Rogue One: A Star Wars Story. 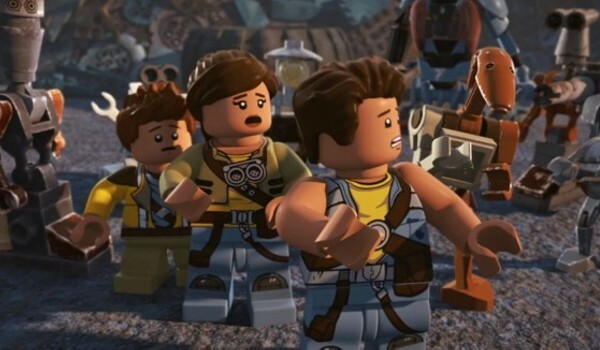 Taking place before the events of the original Star Wars, a small Rebel band attempts to steal the plans for the not-yet-completed first Death Star. Felicity Jones, Diego Luna, Riz Ahmed, Genevieve O'Reilly, Donnie Yen, Jiang Wen, Forest Whitaker, Mads Mikkelsen, and Alan Tudyk star. Rogue One: A Star Wars Story opens in theaters on December 16th. 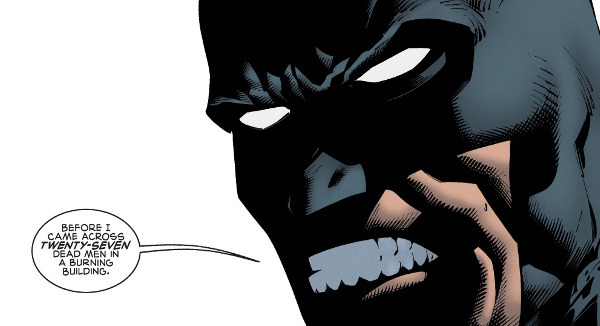 Scott Snyder is certainly a glass half-empty kind of guy. 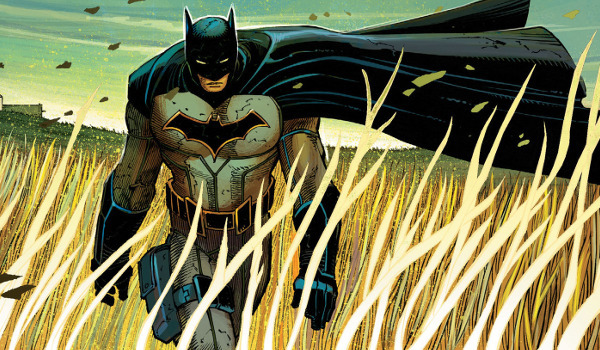 All-Star Batman #1 puts Batman and Two-Face on the road. Desperate for a chance to cure Harvey Dent, Batman races to an undisclosed location while the criminal kingpin has put an offer out to everyone. If Two-Face isn't rescued every piece of dirty and blackmail available to him will be released to the public. However, if someone should find and release Two-Face untold riches will be theirs. Set in 1938 during WWII, the Japanese have captured a Chinese scientist who has made a breakthrough in zero-point technology. 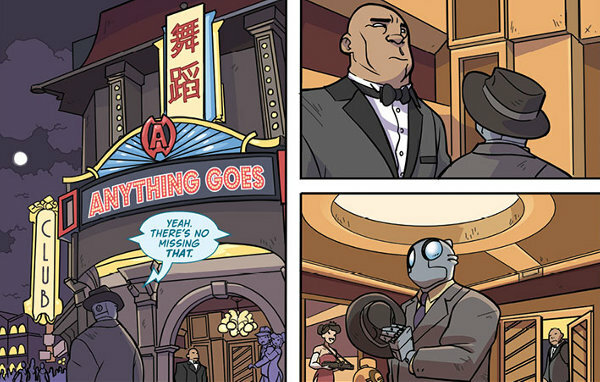 The U.S. Military sends a reluctant Atomic Robo to investigate, find Dr. Lu Huang, and discover if the rumors of the Japanese creating their own teleforce gun are true. Of course, the military might have ulterior motives in finding Dr. Huang. 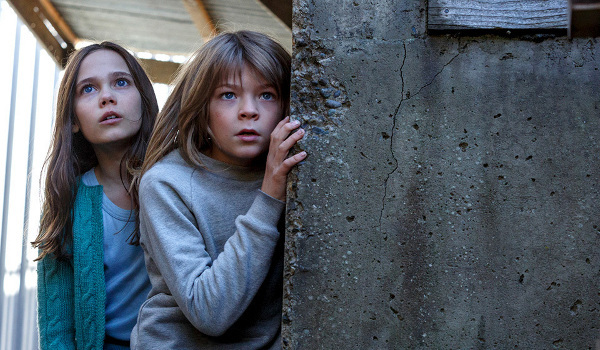 1977's Pete's Dragon is a goofy live-action kid's movie about an orphan who gets into trouble thanks to a clumsy invisible dragon named Elliot. Something around the lines of The Apple Dumpling Gang mashed up with Mary Poppins, it's a movie I remember from my childhood, but not well. To be honest, the announcement of a remake didn't really interest me. However, Disney's entirely new take on the tale proves to be a far more memorable adventure. Casting Melissa Benoist as Kara Zor-El, the First Season of Supergirl added Superman's cousin to the DC television stable. 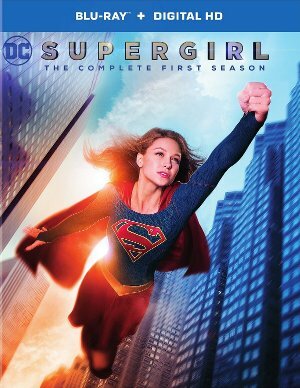 Not as consistent as Arrow, and not as fun as The Flash, Supergirl had her growing pains in the First Season as Kara worked to balance her life as assistant to a demanding media mogul (Calista Flockhart) and working with a secret government agency to corral super-powered prisoners who escaped from a Kryptonian prison. 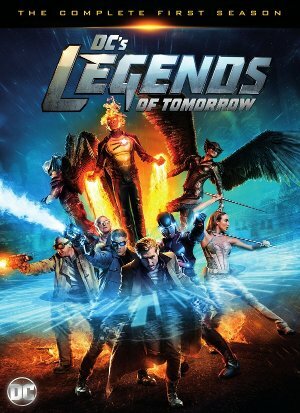 Highlights of the show's First Season include a crossover with the Flash, Supergirl exposed to Red Krptonite and the Black Mercy, J'onn Jonzz's (David Harewood) history revealed, political upheaval at the DEO, the first appearance of the Toyman, and Supergirl's struggle to defend the city without her powers. 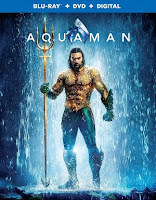 Available on both Blu-ray and DVD, extras include deleted scenes, gag reel, and featurettes on Krypton, the Martian Manhunter, and Comic-Con. A.D. has a busy week covering his/her tracks. 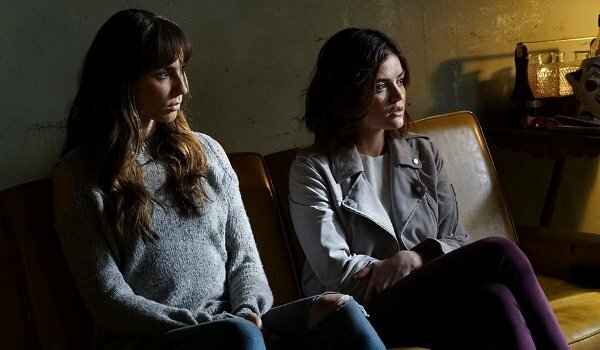 The murder of Sara Harvey (Dre Davis) followed by a break-in at Toby's (Keegan Allen) home and the destruction of an entire room of Mary Drake's (Andrea Parker) secret files on the Liars and all their acquaintances leave the girls with only a single new clue: Charlotte has a sibling. Noel Kahn's (Brant Daugherty) possession of the file stolen from Toby's home seems to confirm the idea that he working against the Liars. However, after Spencer (Troian Bellisario) and Hanna (Ashley Benson) overhear him reporting to someone evidence seems to point to Noel working for A.D. (rather than being A.D.). 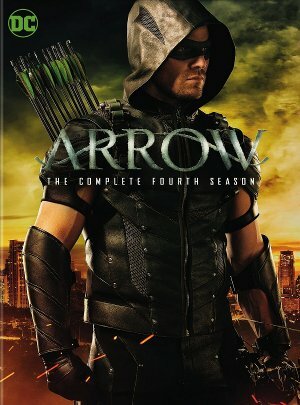 Continuing the opening arc of the new series, Green Arrow's long road back to reclaim what was taken from him leads to an encounter with John Diggle. 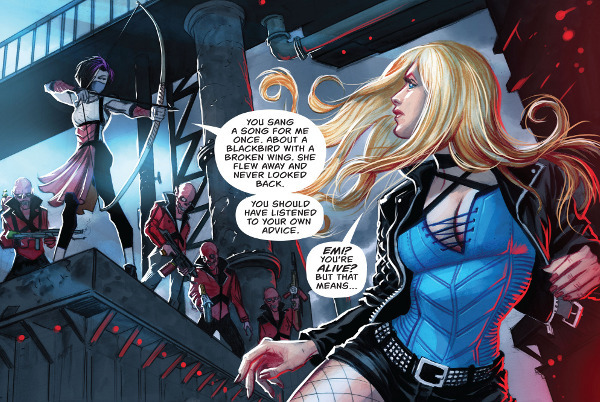 While the initial encounter is more than a little frosty, the old allies quickly put past issues behind them to work together to take down the Ninth Circle who have kidnapped the snooping Black Canary to force Green Arrow to show himself (setting up next issue's suicidal two-man rescue operation). 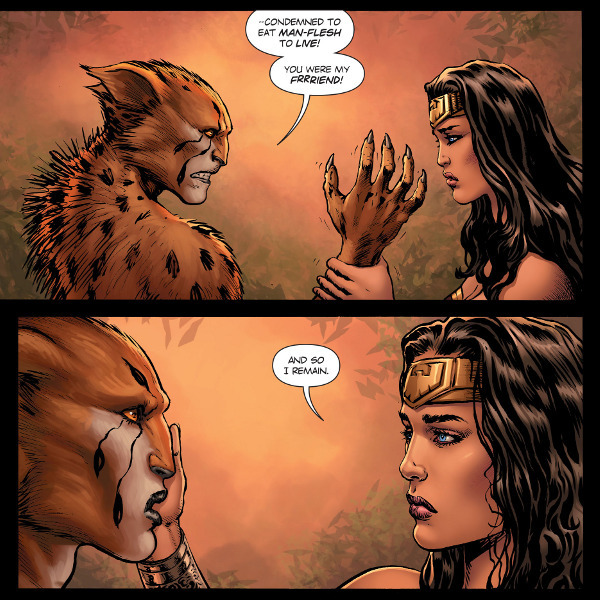 Returning to the current storyline begun in the series' first issue, Wonder Woman #3 focuses primarily on former friends turned enemies Wonder Woman and Cheetah. 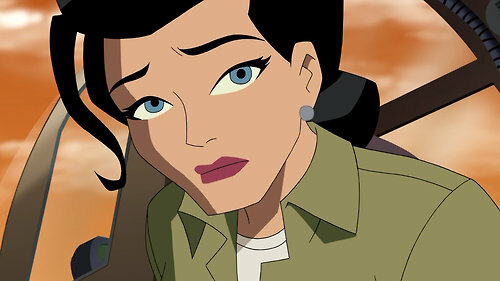 Unable to find Themyscira on her own, Diana needs the help of an old friend. 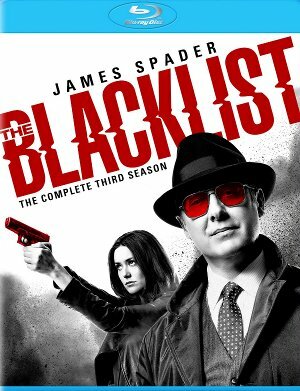 The Third Season of The Blacklist ends Elizabeth Keen's (Megan Boone) role as an FBI agent. Beginning as a fugitive and ending as an asset, Keen's world will continue to be turned upside down by Raymond Reddington (James Spader) who works to clear Lizzie's name, protect her unborn child, and avenge her after her "death." Highlights of the season include tracking down a negotiator (Tony Shalhoub) manipulating two crime families, the trial of Elizabeth Keen, the wedding, Red's trip down memory lane, an impostor claiming to be the real Reddington, Famke Janssen's introduction as Susan Hargraves, and the reveal of the identity (and his connection to Liz) of the man obsessed with finding Elizabeth and her daughter. Moon Knight #5 concludes the series' introductory arc as Moon Knight and Marlene make it to the pyramid only to be confronted by... 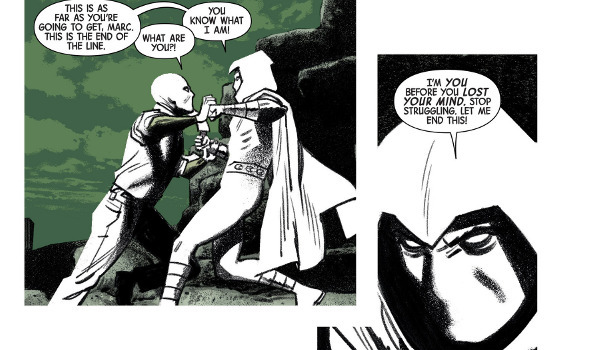 Moon Knight? 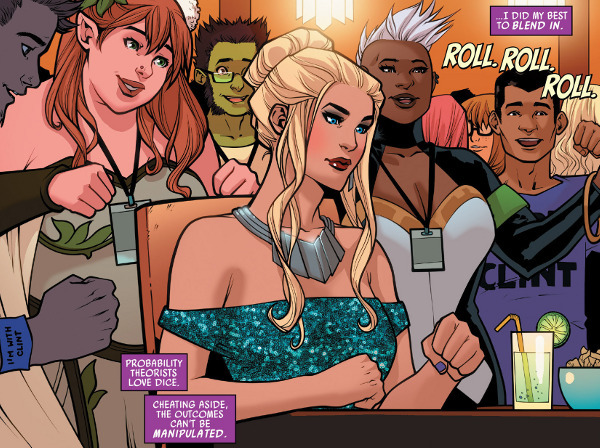 Issue #5 is a bizarre end to a bizarre opening arc. Once again we're unsure about the reality of what Marc Spector is experiencing. Taking his experience as real (or at least real to him) the comic does reveal the entity behind his recent torture to not be Seth but Khonshu who wants something from Marc he is unwilling to give up. Released during Comic-Con, the first trailer for Justice League offers us a look at Bruce Wayne's (Ben Affleck) attempt to enlist other heroes to fight a looming threat. Gal Gadot, Jason Momoa, Ezra Miller, Amber Heard, Amy Adams, and Henry Cavill also star. The movie opens in theaters on November 17, 2017. 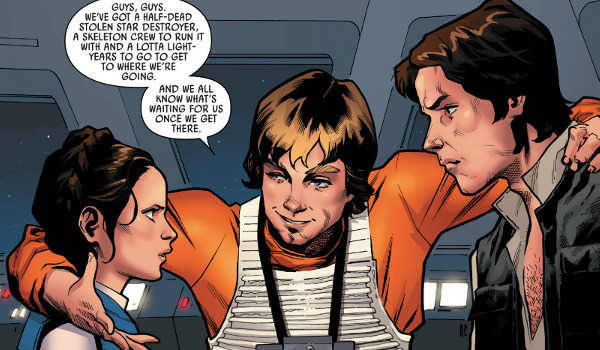 Taking a break from their search for the Kyber Crystals, and following the advice from Maz Kanata (Grey Griffin), the Freemakers head to the barren junk planet of Zoh in search of the Maker who turns out to Jek-14 (Brian Dobson). Although the former Sith clone is welcoming to the group, his robots aren't too happy with the Freemakers' arrival. Afraid they will convince the Maker to leave, the bots decide take care of the trespassers... permanently. 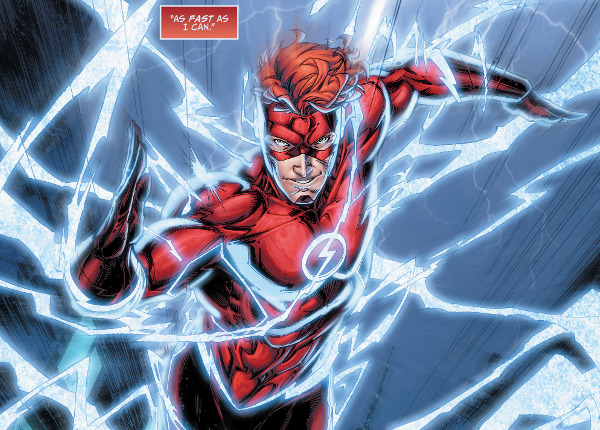 Clad in a new costume, Titans #1 continues to focus on the return of Wally West. 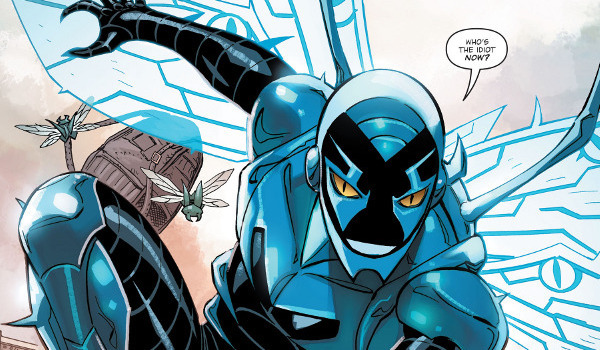 Working with his old teammates once again, Lilith attempts to see into Wally's mind and find some trace of the person responsible for removing him from reality. 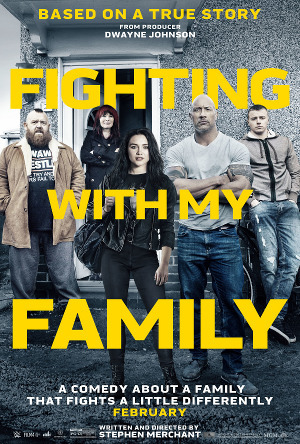 Looking for answers about the yellow goo leads Dutch (Hannah John-Kamen), Johnny (Aaron Ashmore), and D'Avin (Luke Macfarlane) to a collector of sorts who lives within a ship disguised as one rock in an asteroid field. Although seemingly wiling to trade Sam Romwell (Keon Alexander) attempts to cheat the Killjoys lead to Johnny and D'Avin being held hostage by his fembots and Dutch dusting off her old assassin skills in a attempt to kill the cheat and take what the team needs from his vault. 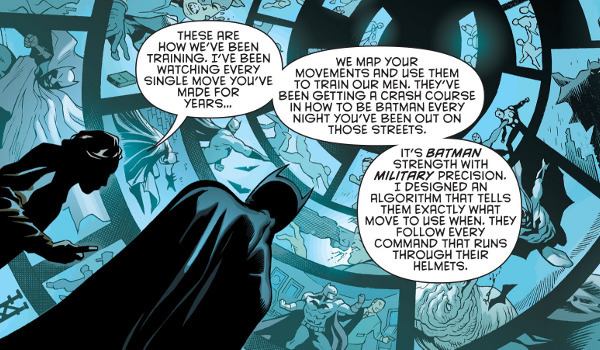 Detective Comics #937 answers some very important questions about how the army of Batmen were created and why. 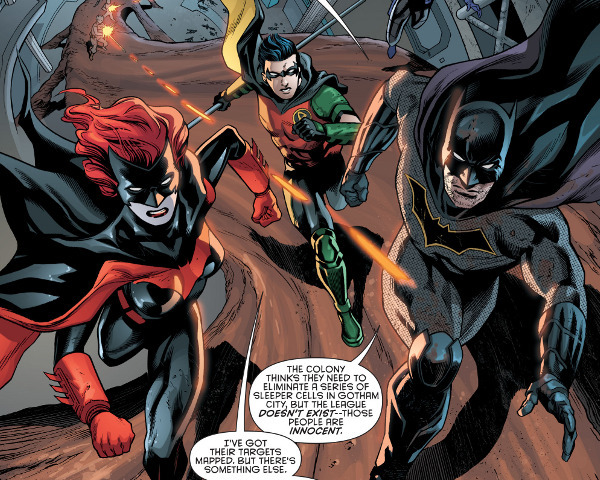 While Batwoman reluctantly leads her team against her own father, with a pit stop through the deep underground of Gotham which Red Robin has made good use of, Batman breaks out of his cell and does a little investigating as to just what the hell is going on. 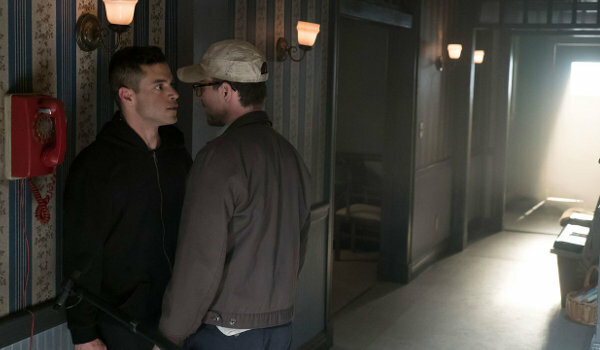 After a short pre-credit sequence showing us how fsociety ended up setting up their operation in a rundown arcade, "eps2.1_k3rnel-pan1c.ksd" begins with Elliot (Rami Malek) attempting to get rid of Mr. Robot (Christian Slater) through drugs as multiple members of the group begin turning up dead. 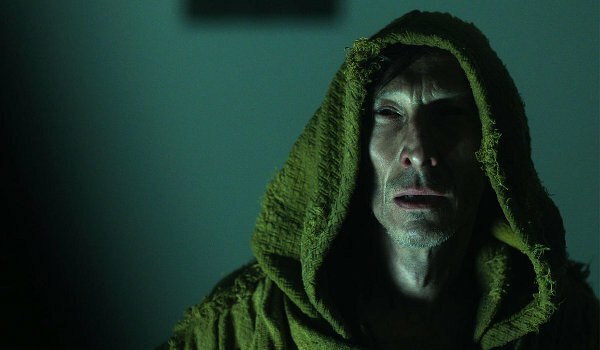 After popping enough Adderall to overdose an elephant Elliot's grip on reality isn't initially improved given a hallucination of shadowy figures torturing him on one of the most unusual ways possible. However, beginning a more controlled regimen Elliot finds himself temporarily free... although there are some side effects.